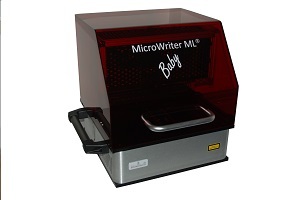 DMO is proud to unveil today its latest direct-write optical lithography machine: MicroWriter ML Baby. Based on its bigger brother, MicroWriter ML, the Baby is designed as a low-cost, small footprint desktop version. It is the smallest and cheapest direct-write optical lithography machine in the world. Further details….